Tsugawa nursery is located right off I-5 in Woodland, Washington. I always mean to stop there on my way back from Seattle, but by the time their exit appears Portland is just another 20 or so miles down the road and I decide to just keep going and get home. Not this time! I was making such good time on the road (i.e. speeding…) that I stopped to take a look. The one thing that I’ve known Tsugawa for was their Flax bargains at the 2008 Yard Garden and Patio show. My memory is a little foggy (and thanks to winter 2009 the flax are all toast) but I believe the deal was 3 qty 1-gallon New Zealand Flax plants for $20. I think I spent $40. I love a deal. 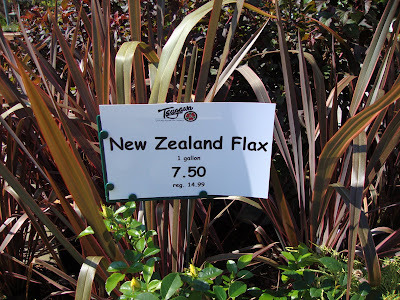 They had many different types of Flax to choose from, not all $7.50 though. 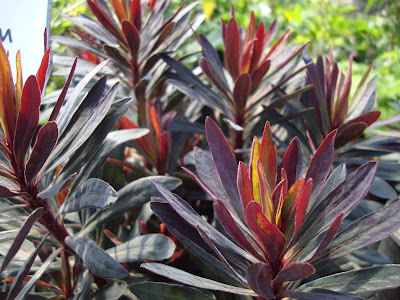 These fabulous leaves with their little white flowers are called Water Fringe Blackbird Euphorbia, simply stunning. I’ve bought two of these over the years, both have died on me. 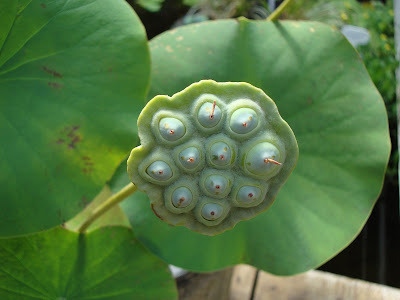 It pains me greatly that there is such a beautiful Euphorbia that I apparently cannot grow. Life’s not fair that way. These were so nice that I almost fell for them. But in the end I couldn’t bear to bring death to another, so I walked on by. 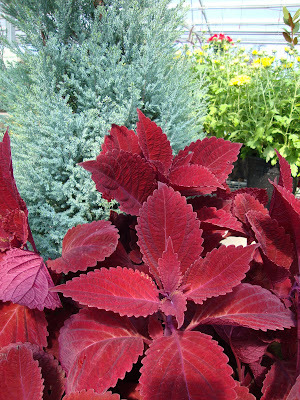 This blue and red combination is in several of their planters. I like it, I’m not sure why because I am also a little repulsed by it too. But there was not an Agave in sight. 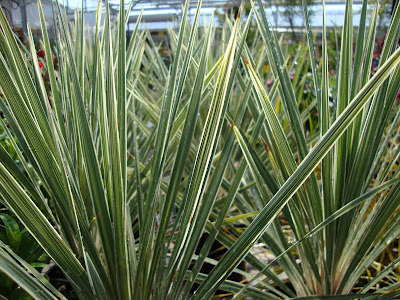 The most Agave-like item (ok I am really stretching here) were these Cordylines. I am definitely getting spoiled. 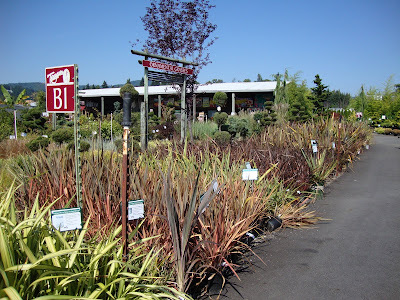 It wasn’t so long ago that you couldn’t find any Agaves in Pacific Northwest nurseries. 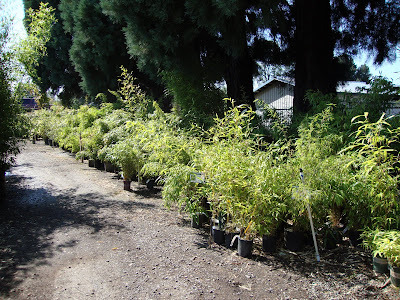 I remember my first trip to Arizona when I walked into a nursery and there were rows of them, wow! I was awe-struck, such plant riches! 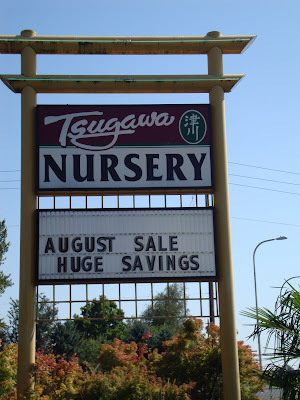 These days it seems just about every nursery has a few, I have even seen them at Fred Meyer, our local one stop shop for groceries, home-goods, and such. Aren’t they gorgeous!? 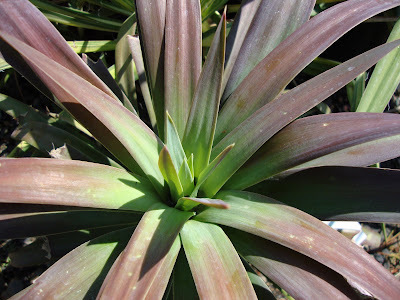 I don’t recall ever seeing them before, Yucca A. Purpurea. The tag had no information about their hardiness (I hate that) but at $7.99 I took a chance and bought two. Searching to learn more about them on the internet has led me to only one listing: they were selling for $19.99 and are sold out. I got a deal! And the best part is they are hardy to a zone 7. Now where the heck am I going to put them!? 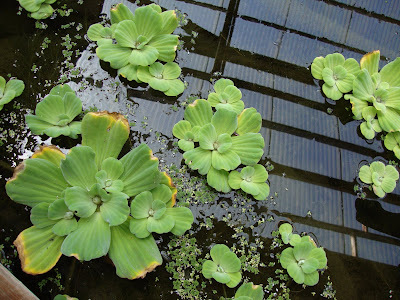 DG~~ Ooh, my favorite blog topic: plant shopping! I've heard/read great things about Tsugawa. The sign alone is tempting but combined with the word SALE and the car drives itself. 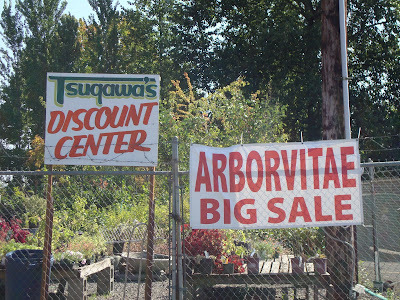 My elation would have taken a serious hit too with that icky Arborvitae sale sign. Like, oh crap is this all they're marking down? 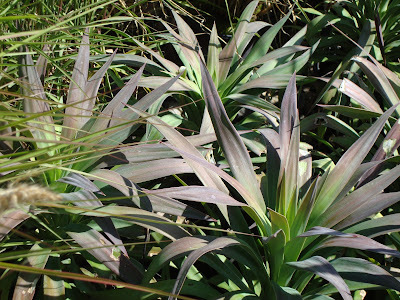 Love the Yucca 'Purpurea.' It's one I've not seen either. I've done the same thing: risk it and buy the plant and hope it's hardy with the idea that if it isn't I'll bring it inside, or something. I wonder if the winter chill will turn this Yucca peachy pink like it does to 'Color Guard.' ... Ditto your comment about the blue and red combos. I can relate to the love/hate mental debate. For me the "love" part is admiring it from a distance. The "hate" part is trying to visualize it in my garden. I hope you can find a good deal on a Crape Myrtle. The flowers are fabulous [although a bit messy as they drop] and the fall foliage--a screaming orange. And if that's not enough, exfoliating bark on the older wood. And if that's not enough, easy to grow. I've always meant to make a special trip to that nursery. Looks like it might be well worth the drive. Ravenna, though...that one could be worth going all the way to Seattle. When they were in PDX, they were more about decor, with just a smattering of plants...plus, it was before the gardening bug bit. 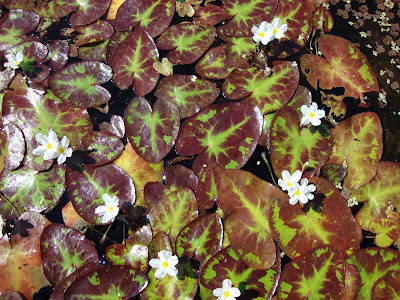 LotusLand, too...you are really having an exceptional summer, aren't you? Ooh, I love icy blues and hot reds together. Not so much the burgundy reds though. My usual pairing with those colors is a cool blue agave with a hot red salvia or penstemon. Arborvitae. They bring out the garden snob in me, but like you, I'd still take a chance on the nursery. I've had a difficult time with Euphorbia Blackbird, too. I have three. Or do I have three, or are there only two left? I haven't killed them, but they don't have that gorgeous color that makes them worth growing. I've let them go to seed, hoping next year will bring some seedlings that might be tougher. I can't believe those Yucca aren't more common. They surely will be soon, they're so good. And i love the dog! Grace, I like this bossy side of you! And I will definitely try it in a container. Why do you recommend this? The water fringe sign said it was hardy...and really it is called watter lettuce? Really? ricki, I think you've planned yourself a little trip to Seattle with a stop on the way home! 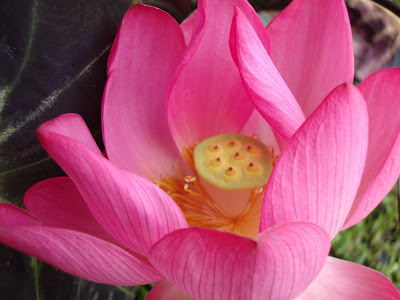 After my return I'll do my best to tempt you into a trip to Lotusland too! Pam, your version definitely sounds better!